Oxfordshire Narrowboats will be taking over the White Horse Boats base at Devizes Wharf from next season and increasing the number of hire boats to four. 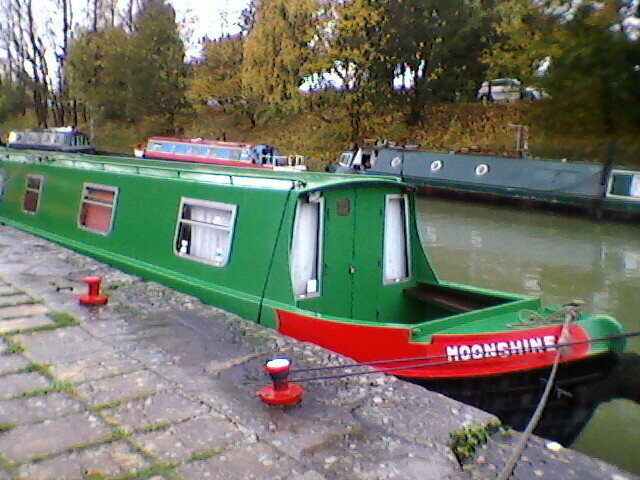 Currently, White Horse Boats have one remaining hire boat based at Devizes Wharf, having sold two within the last 18 months. They have mooring space for four narrowboats at the wharf against land owned by Wiltshire Council. We believe that Oxfordshire Narrowboats, who also own property at Burbage Wharf, have applied to CRT to increase the number of moorings at Burbage from two to four so that they can run one-way hires in the Long Pound ending at Burbage. We understand that CRT has not granted Oxfordshire Narrowboats permission to use Burbage Wharf as a permanent base for hire boats, and has also specified that hire boats based at Devizes Wharf cannot travel west down Caen Hill but can only navigate eastwards. The residents and boaters in Devizes and other villages with popular pubs along the Long Pound may now be in line for the same kind of anti-social stag party behaviour as between Bradford and Bath. The picture shows the remaining White Horse boat at Devizes. This entry was posted on Tuesday, November 24th, 2015 at 6:30 pm	and is filed under News. You can follow any responses to this entry through the RSS 2.0 feed. You can skip to the end and leave a response. Pinging is currently not allowed.